Hey everyone!! 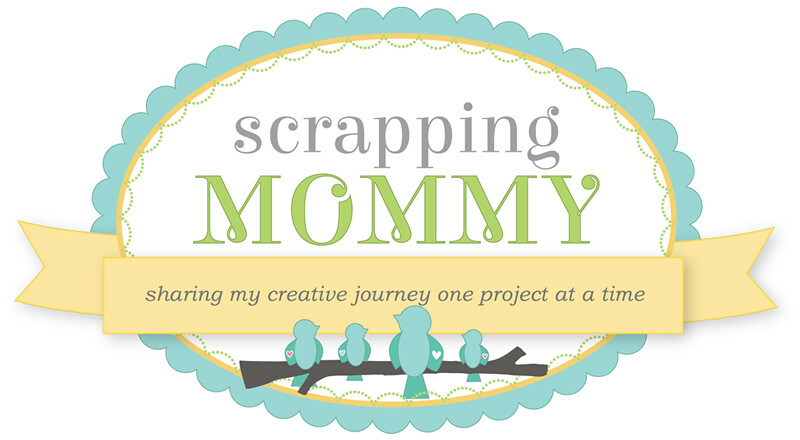 Welcome back for another super fun blog hop with the The Twinery!! This week we are hoping along with Epiphany Crafts. If this is your first stop, hop on over to The Twinery blog to start at the beginning and to get all of the details. I have never used Epiphany Crafts products before, but I must say that I am totally addicted to making these super fun epoxy shapes. My kids thought it was really awesome, too. I created this cute bracelet and a tag to go along with it (I was really hoping to cut a gift box on my Cricut to go along with it, but I ran out of time during the busy holiday weekend). The bracelet was made with the Metal Settings from Epiphany Crafts I threaded them together with some of the Honeydew and Blossom bakers twine from The Twinery. I also added some beads in between the metal settings. 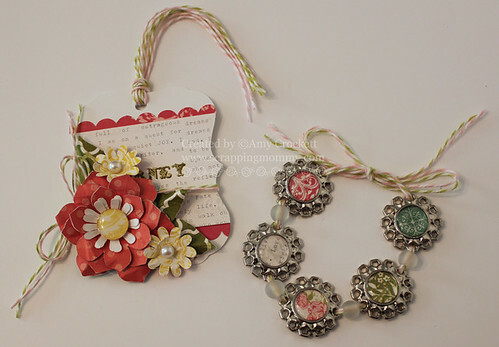 The papers that I used on both the tag and the bracelet are Victoria Gardens from Echo Park. The tag was cut on my Cricut from the Bridal Shower cartridge. I tied some more of the Honeydew and Blossom bakers twine to the top of the tag and around by the flowers. The flowers and leaves are all cut with my Cricut and the Flower Shoppe cartridge. I wrinkled them all up and then shaped them and added another of the fun epoxy circles to the middle of the big flower. Wow, Amy! Your bracelet and tag are just gorgeous!!! 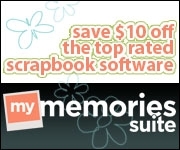 I've seen Epiphany Crafts at Scrapbook Expo, and although I thought it was cool, I wasn't sure how I would use it. Now you've got me thinking! beautiful tag and love that bracelet...fun fun..thanks for sharing.. I like using the epoxy shape maker too - I borrow my sisters all the time, fun! Great projects! The tag is soo sweet! 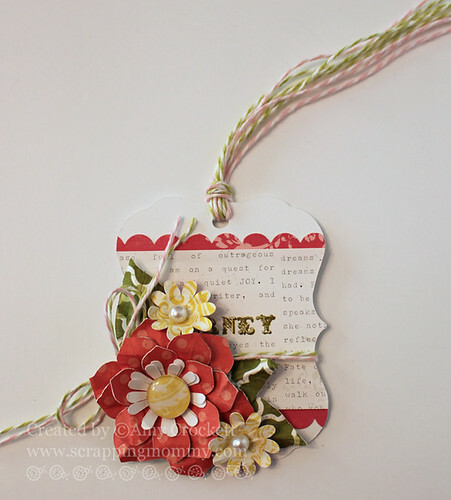 Wonderful bracelet and cute tag--I like the papers you used and the twine. Cute bracelet! Love the ideas! Really cute projects, thank you for sharing them. The flowers on your tag are amazing! And the bracelet is fantastic. What a great idea! Love that bracelet! 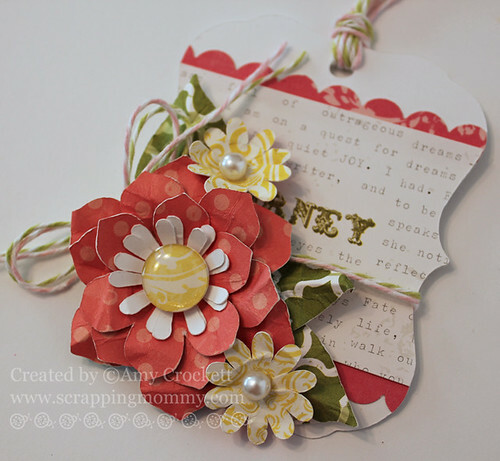 Pretty tag, love the dimension! These projects are beautiful! Great bracelet and gorgeous tag. You did a wonderful job! Love the tag you made and the jewelry is adorable also. Great projects, I just love the bracelet. Great hop and giveaway! Amy - the tag and bracelet are just darling! 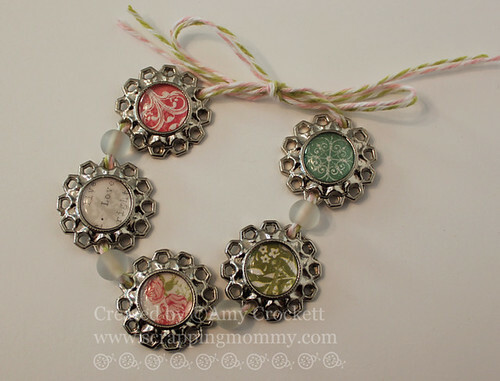 My little would love the bracelet - I, too, have not used Epiphany crafts products - but you are making me want to!!! Love the twine!!! Neat projects, especially the tag. Amy, I totally forgot that those cute epoxy bobbles (as I like to call 'em LOL) could be placed into metal holders. What a beautiful tag!! Never tried making jewelry yet but your bracelet is so pretty! Love that bracelet! I would like to make one for myself! Great idea! Now I have no excuse not to use those metal settings more! I love that little bracelet! Fun hop with lots of great ideas and inspiration! Wow, awesome projects...I really love the tag! What a great giveaway! Who wouldn't love to win it! Beautiful love the Tag and the embellishments are Awesome. Love the Necklace so many Possibilities with Epiphany and Twinery. 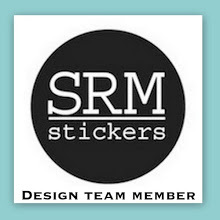 thanks for sharing this Amazing Projects. and for the chance to win. I like the whole set- bracelet, tag, and I know the little box will match perfectly! Amazing tag and love that bracelet. Fun! I think my kids might want a turn at making these. Your projects are really inspired. Love the bracelet. Love the tag and bracelet! So darn cute! Love twinery and epiphany crafts. Awesome!! The metal settings on the bracelet are so pretty! I like your idea of using the epoxy circles as flower centres--great dimension (they look dewy) and perfectly coordinated colours. Great projects! Love your bracelet idea! Thanks for sharing! Gorgeous projects. I love the bracelet. Great projects. Love the bracelet. Does the bracelet come with the prize? Great projects. very pretty and so cool too! loved the bracelet. I love epiphany crafts!!! Love the bracelet!! Great job! So cute and just love the bracelet!! Beautiful project Amy!! I absolutely love the bracelet:) So fun and makes such a great gift idea! I really like the tag. I must confess I don't often think to make tags but this is beautiful. Love both projects Amy! Epiphany here I come!! I love tags and I make them all the time but this one is a new shape I haven't thought about and I love twine instead of ribbon on this! Love your projects. You do awesome work. Those tags are just glorious! Thanks for the wonderful creativity!! Lovely bracelet and tag TFS!!!! These are really cute and fun ideas. Thanks for showing them. Amy, I LOVE them both! They can't be any cuter than this! I love the bracelet. What a neat project! What a great assortment of projects, Amy! I adore your bracelet! Love the bracelet!! Great Idea and I love the metal settings from Epiphany!! The flowers on the tag are so dimensional and I have the cart. you used, so I am going to have to start cutting!! :) TFS!! WOW...you ladies are Rockin' this Hop !! Your bracelet is beautiful and that tag is adorable !! Thank you so much for sharing your great ideas. I'm loving this hop !! Amy your projects are gorgeous!! I LOVE them and the bracelet is AMAZING!! I think EC has a kids tool for bracelets. I'm just an EC junkie :0) TFS!! Take Care!! Amy ~ BEAUTIFUL projects! LOVE the tag and the bracelet! LOVE both of these companies too!! !